TLJ Daily E-Mail Alert No. 683, June 18, 2003. June 18, 2003, 9:00 AM ET, Alert No. 683. 6/17. The Senate Judiciary Committee held a hearing titled "The Dark Side of a Bright Idea: Could Personal and National Security Risks Compromise the Potential of Peer to Peer File Sharing Networks". Witnesses praised the benefits of P2P networks, but also cautioned about threats that they pose to the privacy and security of individuals, and to the security of sensitive government records. Witnesses also discussed the problem of pormography on P2P networks that is often disguised a popular music files, thus causing children to unwittingly be exposed. At the conclusion of the hearing, Sen. Orrin Hatch (R-UT), the Chairman of the Committee, also focused on copyright infringement on P2P networks, and suggested that if no other way can be found to protect copyrighted works from piracy, "destroying computers" should be permitted. See, related story below titled "News Analysis: Hatch Hyperbolizes About Destroying Computers on P2P Networks". Sen. Hatch was the only member of the Committee to participate. 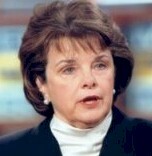 However, Sen. Dianne Feinstein (D-CA), a member of the Committee, appeared at the outset as a witness. Sen. Hatch stated that "peer-to-peer file-sharing networks are here to stay". He said that they "permit rapid and broad dissemination of information and ideas; and they have provided a powerful tool to researchers, hobbyists, and interested citizens seeking information and ideas on an array of topics. At the same time, however, they have also opened up our homes, our businesses, and our government agencies to potentially serious security risks that are neither widely recognized nor easily remedied." He also stated that "in government agencies, employee use of P2P networks could also disclose sensitive government data to the enemies of this country. At this moment in history, the implications of this risk are troubling, to say the least." He also said that "I am also troubled that many P2P networks require their users to install so-called “spyware” or “adware” -- programs that monitor, collect, and report information about the Internet “browsing” habits of a particular user." Finally, he said that "the users of P2P file-sharing networks may also encounter malicious programs -- such as viruses, worms and Trojan horses -- that have been disguised as popular media files." He added that "If the promoters of these networks acknowledge that their nature increases users' risk of exposure to malicious programs, then they must also recognize their increased duty to protect and educate their users." See, prepared statement, which Sen. Hatch read at the hearing. Sen. Patrick Leahy (D-VT), the ranking Democrat on the Committee, did not attend. However, he submitted a prepared statement for the record. The first panel of witness was made up of Sen. Feinstein, Rep. Tom Davis (R-VA), and Rep. Henry Waxman (D-CA). Sen. Feinstein (at right) read a statement, and then departed to attend another event. She too praised P2P technology. "This technology can be used to help researchers share information or files seamlessly across borders, or to help business people share documents -- in other words, there are legitimate uses for this software." "But", she continued, "there are also risks." She said that these "networks are also facilitating a new era of easily obtainable pormographic material, including child pormography." She also cautioned about threats to government records. "Of most concern, however, is the use of peer-to-peer file sharing by government employees." She said that "a federal employee intending to simply download and share music files, therefore, could easily make available every file on his computer, without intending to do so or even realizing it after the fact." And, she said, "For normal users, this lack of security presents the real threat of identity theft." Rep. Davis and Rep. Waxman are the Chairman and ranking Democrat on the House Government Reform Committee, which has already held hearings on this issue. Like Senators Hatch and Feinstein, they praised the potential of P2P networks, but cautioned about the associated risks. Rep. Davis (at right) stated that P2P networks "have become an increasingly popular mechanism for trafficking in pormography, including child pormography. In fact, it seems as if many of these programs have become digital pormographic libraries where all sorts of pormographic materials can be easily accessed for free." He added that "Innocent searches for files using the names of popular cartoon characters, singers, and actors produce thousands of graphic pormographic images, including child pormography." The second panel of witnesses included Nathaniel Good (a graduate student at UC Berkeley), Randy Saaf (MediaDefender), and Alan Morris (Sharman Networks). Good presented the results of a survey of users of P2P networks that showed that most users do not know the extent to which files on their hard drives are made available to anyone else. He testified that, due to the nature of the KaZaA software and interface, many users designate their C drive as the location of files which they download, and unwittingly make all of their C drive files available for search and copying. He testified regarding a study of 12 KaZaA users. "Of the 12 users, only 2 correctly identified that KaZaA intallation had been set to share all files on the hard drive. In addition, only 2 users correctly indicated that all types of files could be shared over a P2P network. 9 of 12 users believed that only multimedia files such as music, video and pictures could be shared." Saaf used an overhead monitor to present a demonstration of how quickly and easily he was able to use a laptop computer, and a connection at Kinko's, to search for, find, and download Microsoft Money files on strangers' computers. He also testified that he was able to locate over 2,000 government computers sharing content on P2P networks. For example, there were 236 at the Naval Warfare Systems Command, 155 at the Los Alamos National Laboratory, and many more at other government agencies with sensitive information. Notably, while the hearing examined "national security risks" of P2P networks, no one from the Department of Defense, FBI, or other defense, national security, intelligence, or law enforcement agency testified at the hearing. 6/17. Sen. Orrin Hatch (R-UT) stated in off the cuff remarks at the end of a hearing on the security threats of P2P networks, that if no other way can be found to protect copyrighted materials from piracy on P2P networks, "destroying computers" may be appropriate. He added that this would first require Congressional legislation. Sen. Hatch (at right) did not offer a definition of the term "destroying computers". Nor has he introduced or cosponsored any legislation on this subject. However, after his first mention of this, witnesses discussed this as though he meant self help measures by copyright owners or their representatives, of an invasive nature, such as viruses, that would be intended to disable in some way computers or files on P2P networks that are involved in copyright infringement. He did not correct them. One witness, Randy Saaf of MediaDefender, said that no one wants to use "invasive procedures". He added that "invasive procedures are not being pursued" by any legitimate company. The final time that Sen. Hatch referenced "destroying" computers, he made these comments. "You know, I, there is no excuse for anybody violating copyright, copyright laws. ... And if they get a copyright, that ought to be respected. If we can find some ways to do this without destroying (inaudible word), I'd recommend we do it. But if that is the only way, then I am all for destroying their computers. (audience laughter) unless you have a few hundred thousand of those -- I think people would grow up and realize -- but, we would have to pass legislation ..."
Tech Law Journal transcribed the above statement from its audio tape of the hearing. Sen. Hatch softly mumbled. He did not read from a prepared text. And, the audio system in the Senate Judiciary Committee hearing room is of low quality. Hence, there could be errors in the above transcription. Sen. Hatch has not introduced, or cosponsored, any bill that would authorize, or limit liability for, the destruction of computers used to infringe copyrights, or files on computers used to infringe copyrights. Nor has he previously made a similar statement. Hence, in this sense, this was a major new policy statement by one of the key players on intellectual property issues in the Congress. The closest policy initiative to this is a bill that was introduced last July by Rep. Howard Berman (D-CA). HR 5211 (107th) provides that "Notwithstanding any State or Federal statute or other law, ... a copyright owner shall not be liable in any criminal or civil action for disabling, interfering with, blocking, diverting, or otherwise impairing the unauthorized distribution, display, performance, or reproduction of his or her copyrighted work on a publicly accessible peer-to-peer file trading network, if such impairment does not, without authorization, alter, delete, or otherwise impair the integrity of any computer file or data residing on the computer of a file trader." This bill merely refers to disabling files, not "destroying computers". See also, TLJ text of bill, and Rep. Berman's section by section summary. Rep. Howard Coble (R-NC), the former Chairman of the Subcommittee on Courts, the Internet and Intellectual Property, Rep. Lamar Smith (R-TX), the current Chairman, Rep. Robert Wexler (D-FL), and Rep. Ric Keller (R-FL) cosponsored the bill. Rep. Berman is the ranking Democrat on the Subcommittee. See also, stories titled "Rep. Berman Introduces Bill to Legalize Self Help Technologies to Disable P2P Piracy" and "News Analysis: The Berman Bill" in TLJ Daily E-Mail Alert No. 478, July 26, 2003. Sen. Hatch did not reference the HR 5211 (107th), or limitation of liability, at the June 17 hearing. While Sen. Hatch's statement may be interpreted as a significant new policy statement, it may also be interpreted as an off the cuff exercise in hyperbole, directed at a witness from Sharman Networks who had presented contradicted and incredible testimony regarding the threats that P2P networks pose, in the form of identity theft, theft of personal financial information, threats to the security of sensitive government records, threats of children being exposed to pormography, and threats of widespread copyright piracy. Had Sen. Hatch intended to make a major policy statement regarding P2P infringement, he would have done so more effectively had he ahead of time that the hearing would cover copyright issues. (The notice of the hearing did not reference copyright.). He might also also have made his statement at the outset of the hearing, rather than at the tail end. He made his remarks at the end of an afternoon hearing, after most of the reporters who were present at the outset had left the room to write their stories in time to meet filing deadlines. He also might have put this item in his prepared statement, so that persons not present at the hearing could obtain it. Some witnesses had testified at the hearing about how the interface for KaZaA makes it difficult for many users to avoid making all of the files on their hard drives subject to searches and copying. One witness gave a demonstration of the interface. Another presented the results of a survey showing user confusion. Then, Alan Morris, EVP of Sharman Networks, the owner and operator of the KaZaA Media Desktop, asserted that it is now "very very hard" for users to unintentionally share files. Morris also testified that what is needed is "basic education on security risks for all computer users". Several witnesses described the volume of pormography available on P2P networks, including child pormography, and testified that some of it is disguised. Rep. Henry Waxman (D-CA) testified that children searching for Britney Spears or Pokeman files could end up getting illegal child pormography. Sen. Patrick Leahy submitted a statement in which he said that P2P networks "may allow sezual predators a way to lure their victims into an instant messaging conversation". Morris said that "we cannot control what is on the network". He advocated "active and involved parenting" and the use of "filters". Morris also invoked the notion of "democracy" of the internet. Sen. Hatch pointed out that P2P networks enable the piracy of copyrighted works. Morris said that KaZaA posts notices that say that users should not infringe copyrights. Sen. Hatch asked Morris, "does Sharman share any responsibility" for what is shared inadvertently or illegally? It was in the context of these exchanges that Sen. Hatch then made his comments regarding "destroying computers". 6/17. The Federal Trade Commission (FTC), consumer protection agencies of other nations, and the Organisation for Economic Cooperation and Development (OECD), released a document [33 pages in PDF] titled "OECD Guidelines for Protecting Consumers from Fraudulent and Deceptive Commercial Practices Across Borders". FTC Commissioner Mozelle Thompson stated that "Cross-border fraud, perpetrated through telemarketing, Web sites, and spam, harms consumers and consumer confidence in the global marketplace ... The OECD guidelines announced today reflect an international commitment by consumer protection law enforcement agencies to work together to combat these schemes." See also, FTC release. These guidelines recommend that the consumer protection agencies of the nations that are members of the OECD cooperate in preventing fraudulent and deceptive commercial practices against consumers. Many of the specific recommendations pertain to internet communications. These guidelines provide that "Member countries should provide an appropriate mechanism to permit consumer protection enforcement agencies, in conjunction with judicial or administrative authorities and subject to appropriate safeguards, to seek to preserve such evidence, particularly that of a transient nature, in particular investigations until it can be examined. Such a mechanism should also be available in appropriate cases where consumer protection enforcement agencies are assisting agencies in other countries." Evidence of a transient nature would such things as stored electronic communications held by internet service providers, that is, e-mail. This might implicate the Electronic Communications Privacy Act (ECPA), and similar statutes in other nations. These guidelines also provide that "To address the need to locate and identify those engaged in fraudulent and deceptive commercial practices, Member countries and their consumer protection enforcement agencies and other competent authorities should, in co-operation with one another and with domain name registrars and other relevant stakeholders, work together to develop options for reducing the incidence of false header and routing information and inaccurate information about holders of domain names." They also provide that "Member countries should work towards enabling their consumer protection enforcement agencies to share the following information with consumer protection enforcement agencies in other Member countries in appropriate instances: ... Information about addresses, telephones, Internet domain registrations, basic corporate data, and other information permitting the quick location and identification of those engaged in fraudulent and deceptive commercial practices." Some copies of yesterday's edition of the TLJ Daily E-Mail Alert were blocked by subscribers' e-mail filtering systems. This edition, Alert No. 682, is now available in the TLJ website. TLJ received e-mail messages stating that this issue constituted "spam", "offensive content" or "sezual discrimination". The offending item was the article titled "Sen. Schumer Introduces Spam Bill". The House will meet at 10:00 AM legislative business. It will consider several non tech related items. See, Republican Whip Notice. 12:00 NOON - 2:00 PM. George Mason University will host a lunch and panel discussion titled "Protecting America's Critical Infrastructure". The topics addressed will include cyber security. The speakers will include Asa Hutchinson (Under Secretary of the Department of Homeland Security for Border and Transportation Security), Rep. Chris Cox (R-CA) (Chairman of the House Committee on Homeland Security), Rep. Jane Harman (D-CA) (ranking Democrat on the House Intelligence Committee), Rep. John Hager (assistant to the Governor of Virginia for Commonwealth Preparedness), John Derrick (Pepco Holdings), and Catherine Allen (CEO of the Technology Group for The Financial Services Roundtable). See, notice. For more information, contact Kelly Keane at 410 321-0137. Location: National Press Club, 529 14th Street, NW. 1:30 PM. Secretary of Homeland Security Tom Ridge will address the National Federation of Independent Business. Location: St. Regis Hotel, 923 16th Street, NW. 2:30 PM. The Senate Judiciary Committee's Antitrust, Competition Policy and Consumer Rights Subcommittee will hold a hearing on the proposed NewsCorp DirecTV transaction, focusing on global distribution. The witnesses will include Rupert Murdoch (Ch/CEO of News Corporation), Eddy Hartenstein (Ch/CEO DIRECTV), Gene Kimmelman (Consumers Union), Robert Miron (Ch/CEO of Advance Newhouse Communications), and Scott Cleland (Precursor Group). See, notice. Press contact: Margarita Tapia at 202 224-5225. Location: Room 226, Dirksen Building. Scheduled completion of voting by the Media Security and Reliability Council's (MSRC) Advisory Committe on the MSRC's Best Practices Recommendations [5 pages in MS Word] to ensure effective delivery of emergency information to the public during terrorist attacks, natural disasters, and other emergencies. The MSRC provides recommendations to the Federal Communications Commission (FCC) and industry. See, story titled "Media Security and Reliability Council Considers Recommendations" in TLJ Daily E-Mail Alert No. 669, May 29, 2003. The Federal Trade Commission (FTC) will host a workshop titled "Information Flows: The Costs and Benefits to Consumers and Businesses of the Collection and Use of Consumer Information". It will address the issue of the costs and benefits to consumers and businesses of consumer information collection and use. It will explore how consumer information is collected and used by businesses to facilitate commercial transactions, as well as how it can be used to fight fraud. See, agenda. The FTC states that "preregistration will be required for the press". Location: FTC Conference Center, 601 New Jersey Ave., NW. 9:00 AM - 5:00 PM. The Department of Defense's (DOD) Technology and Privacy Advisory Committee (TAPAC) will hold a public meeting. The TAPAC is a Total Information Awareness Project oversight board. The notice states that "The purpose of the meeting is for presentations of interest and discussion concerning the legal and policy considerations implicated by the application of advanced information technologies to counter-terrorism and counter-intelligence missions." For more information, contact Lisa Davis, TAPAC Executive Driector, at 703 695-0903. See, notice in the Federal Register, June 11, 2003, Vol. 68, No. 112, at Page 34909. Location: Hyatt Arlington, 1325 Wilson Blvd., Arlington, VA.
9:30 AM. The Senate Judiciary Committee will hold an executive business meeting. The agenda includes consideration of several non technology related bills, and consideration of the nomination of William Pryor to be a Judge of the U.S. Court of Appeals for the Eleventh Circuit. See, notice. Press contact: Margarita Tapia at 202 224-5225. Location: Room 216, Hart Building. 9:30 AM. The Senate Commerce Committee will meet in executive session to mark 14 bills and consider several pending nominations. See, agenda, at right. Location: Room 253, Russell Building. 10:00 PM. The Senate Banking Committee will hold a hearing titled "The Growing Problem of Identity Theft and Its Relationship to the Fair Credit Reporting Act". See, notice. Location: Room 538, Dirksen Building. 12:15 - 2:00 PM. The Forum on Technology and Innovation will host a panel discussion on intellectual property protections and their impact on innovation. The speakers will be Bruce Mehlman, Assistant Secretary of Commerce for Technology Policy, Gigi Sohn, President of Public Knowledge, and James DeLong, of the Progress and Freedom Foundation. Register by Tuesday, June 17 at 5:00 PM. A box lunch will be served. Location: Room 106, Dirksen Building. Deadline to submit comments to the Copyright Office (CO) in response to its notice in the Federal Register "requesting comment on proposed regulations that set rates and terms for the use of sound recordings in eligible nonsubscription transmissions and new subscription services, other than transmissions made by certain noncommercial entities, together with related ephemeral recordings. The rates and terms are for the 2003 and 2004 statutory licensing period, except in the case of new subscription services in which case the license period runs from 1998 through 2004." This notice also states that "The agreement published herein supersedes the agreement published in the Federal Register on May 1, 2003, and parties should only comment on the proposed rates and terms set forth in this notice." See, Federal Register, May 20, 2003, Vol. 68, No. 97, at Pages 27506 - 27513. See also, superseded notice in the Federal Register, May 1, 2003, Vol. 68, No. 84, at Pages 23241 - 23249. For more information, contact David Carson (CO General Counsel) or Tanya Sandros (Senior Attorney, CARP) at 202 707-8380. 8:45 AM - 2:35 PM. The American Antitrust Institute will host a Fourth Annual Conference titled "Antitrust and Access". See, agenda at right. The price to attend is $400. Location: National Press Club. 6/17. The Department of Commerce's (DOC) Bureau of Industry and Security (BIS), which is also still known as the Bureau of Export Administration (BXA), published a notice in the Federal Register regarding adoption of amendments to the Export Administration Regulations (EAR). The notice states that these amendments take effect on June 17, 2003, and "clarify when encryption commodities and software may be given de minimis treatment, when short-range wireless devices incorporating encryption may be given mass market or retail treatment, and to provide guidance on when exporters are required to submit encryption review requests." For more information, contact Norman LaCroix at 202 482-4439. See, Federal Register, June 17, 2003, Vol. 68, No. 116, at Pages 35783 - 35787. 6/17. The Internal Revenue Service (IRS) published a notice in the Federal Register stating that it will hold a hearing on proposed regulations relating to the definition of toll telephone service for purposes of the communications excise tax. The hearing will be held at 10:00 AM on September 10, 2003 in room 4718, Internal Revenue Building, 1111 Constitution Avenue, NW. The deadline to submit outlines of topics to be discussed is July 15, 2003. See, Federal Register, June 17, 2003, Vol. 68, No. 116, at Pages 35828 - 35829. 6/16. Rep. Bob Filner (D-CA) spoke in the House regarding the Federal Communications Commission's (FCC) triennial review order, which the FCC announced in February, but has yet to release. Rep. Filner said that "I think that the initial stands for ``Forget Consensus in Congress.´´" He said that "the FCC missed the opportunity to bring clarity to the rules that promote facilities-based competition and would spur investment and create jobs. Instead, it has punted the decision to the States, all 50 of them. This move will force more State proceedings, more regulatory uncertainly, and without a doubt, more delay. See, Congressional Record, June 16, 2003, at page H5370. 6/17. Microsoft announced that it has filed 15 lawsuits in the U.S. and U.K. pertaining to spam. Microsoft stated in a release that it "filed the legal actions under Washington state's strong antispam law, which provides Internet service providers (ISPs) with the tools to take action against spammers to protect consumers". See, Section 19.190.010, et seq. Microsoft also stated that "two additional civil lawsuits were filed in the United Kingdom, alleging the unlawful harvesting of e-mail account names and other illegal spamming practices under the U.K. Misuse of Computers Act of 1990." 6/17. The Consumer Federation of America (CFA) wrote a letter to member of the Senate Commerce Committee urging them to "to rollback the Federal Communications Commission's (FCC) radical deregulation of the nation's media. The Commission's order is a clear ends-oriented decision directed at helping the largest media companies at the expense of the public and democracy. This decision will diminish the diversity of voices heard over the public airwaves and the coverage of local voices and local issues as media giants buy up local outlets and nationalize the stories they broadcast." The Committee is scheduled to mark up S 1046, the "Preservation of Localism, Program Diversity, and Competition in Television Broadcast Service Act of 2003" on June 19. It was introduced on May 13, 2003, by Sen. Ted Stevens (R-AK) (at right), Sen. Ernest Hollings (D-SC) and others. It would establish by statute a national broadcast television multiple ownership cap of 35%. The FCC has long had a rule providing for a 35% cap. However, on June 2, 2003, the FCC announced that it would raise this cap to 45%. See, FCC release [10 pages in PDF].